CropLife Australia’s Resistance Management Strategies provide a guide for crop protection product rotation through product groups. 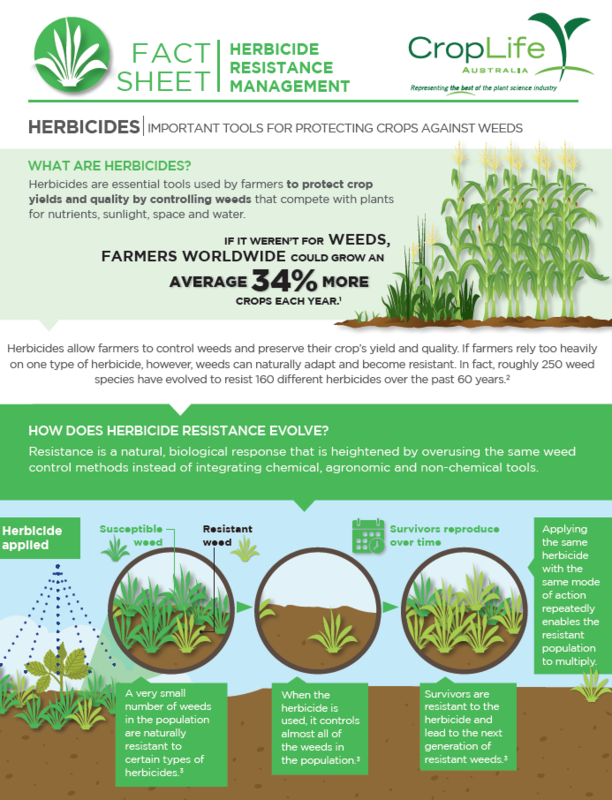 The strategies are a useful tool that supports farmers’ adoption of resistance management. All crop protection products must be handled and applied strictly as specified on the product label or APVMA permits. The information given in this strategy is provided in good faith and without any liability for loss or damage suffered as a result of its application and use. Advice given in this strategy is valid as at 22 June 2018. All previous versions of this strategy are now invalid.